Utilising the options available on the various mapping services (Google Maps, Google Earth, Bing Maps) such as Street View or Birds Eye View, these links will usually offer you ways of moving around the sites listed, or flying around them like Superman if you have a VR headset. 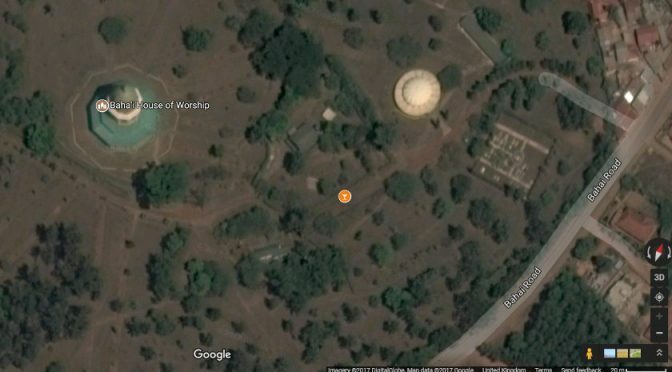 For Google Earth enter the location provided in parenthesis, for Bing Maps or Google Maps click on the relevant link. 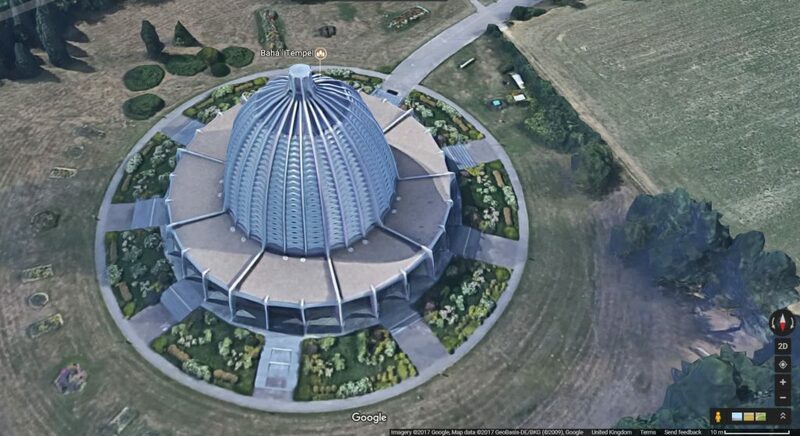 A 3D Rendering of the European Bahá’í House of Worship on Google Maps. 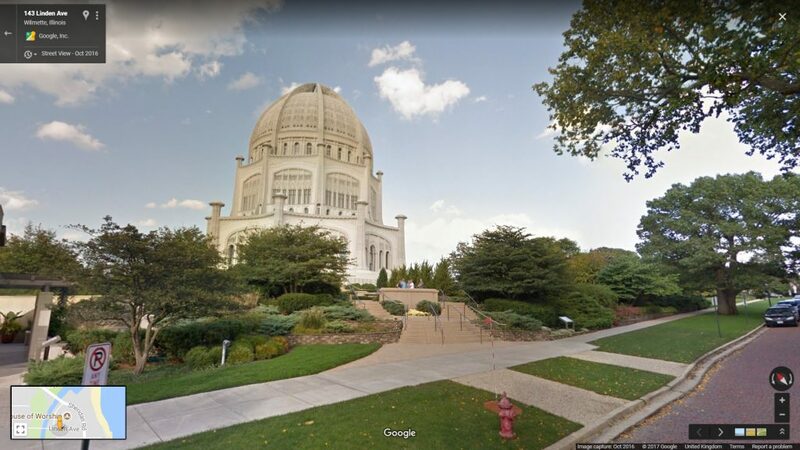 Alongside the North American House of Worship using Google Maps’ Street View. I seem to recall reading the original post, way back when. Thanks so much for the update!